My arsenal story: born in the early 80’s in Leicester in the UK, I grew up playing football in the schoolyards. I remember starting to support the mighty Arsenal in an era where we had players like Mr Arsenal (Tony Adams), Perry Groves, Rocky Rocastle among other fine names. Being from Leicester it was a bit of a way to go to London, especially as Dad was a Leeds United fan but we did get down to Highbury every now and then and would always get to Filbert Street if the team were visiting. Last season was a hard one finishing second to Leicester but with their fairy-tale complete I wouldn’t have wanted to finish behind anyone else. This year will be ours!! When the family moved over to Australia in early 93, I then became a supporter from afar but would still follow as much as I could. When I heard Highbury was going to be no more I was upset I couldn’t het back one more time but its was a long way from Australia for a football match. I finally made it to the Grove (Emirates Stadium) for the first time in Jan 2012 getting to see the legend Thierry Henry back on loan as we beat villa 3-2 in the FA Cup. In Perth we meet for match days at the game sports bar. Numbers are always varied depending on who we are playing but we had 400 odd in for the last cup final which is pretty good for sleepy old Perth. We are also trying to get the family’s involved more and more with our interclub tournaments and family events which seem to be a hit with all involved. 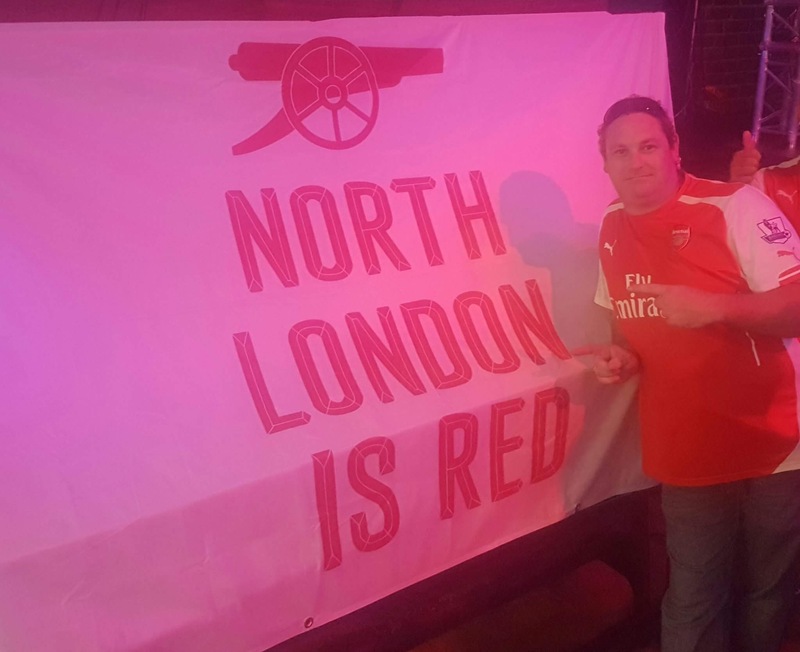 As I married an Aussie it is up to me to pass the love of the game down to my two children who enjoy and thrive in the company of our Arsenal family at the events we offer. We can’t wait to see the boys play over in Sydney next year my son and daughter are already excited about it. All the best from the Caravelli family.